This program is for the U8, U9 and U10 age groups and is offered twice a year (Fall and Spring). Each week offers two training sessions and weekend games. 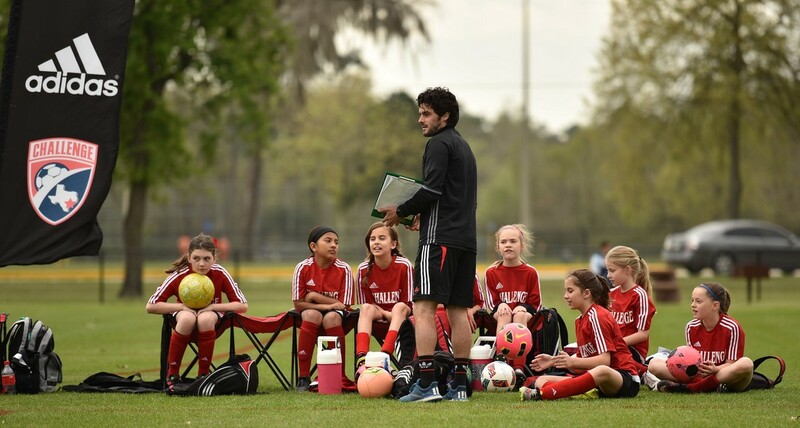 The program uses a curriculum approved by the US Soccer Federation that is based on the four pillars of the game of soccer (technical, tactical, physical, psychological) to help provide consistent, structured and goal-oriented training for all Academy members. Children that benefit the most from this program show an enjoyment for soccer (practices and games) and have the maturity to stay engaged for the hour and fifteen minute training sessions. Players are not required to be super athletes, but a general excitement for the game and attentiveness at the training sessions will ensure that your player gets maximum enjoyment out of the program. This program is for the U6-U7 age groups and is offered twice a year (Fall and Spring). Each week offers two training sessions and weekend games. The program uses a curriculum approved by the US Soccer Federation that is based on the four pillars of the game of soccer (technical, tactical, physical, psychological) to help provide consistent, structured and goal-oriented training for all Academy members. All practice sessions are run by Challenge Professional Coaches. Challenge will select volunteer coaches/managers and will provide coaching education and a curriculum for training sessions. Fall Season: Training starts August 19th, Games start September 7th. Season ends the week before Thanksgiving. Spring Season: Training starts January 20th. Games start February 8th. Season ends first week of May. This Program is for the U6, U7 and U8 player that is looking for more structured training once or twice a week by experienced licensed trainers for a low cost. Games are not included in this program making it ideal for the recreational player. The focus of the program is on individual Ball Mastery and learning the rudiments of basic technique through FUN exercises, competitions and games. Involved within each session are development of coordination and training with a wide repertoire of motor skills (not just soccer: jumping, throwing, simple games with a variety of balls, etc. ).